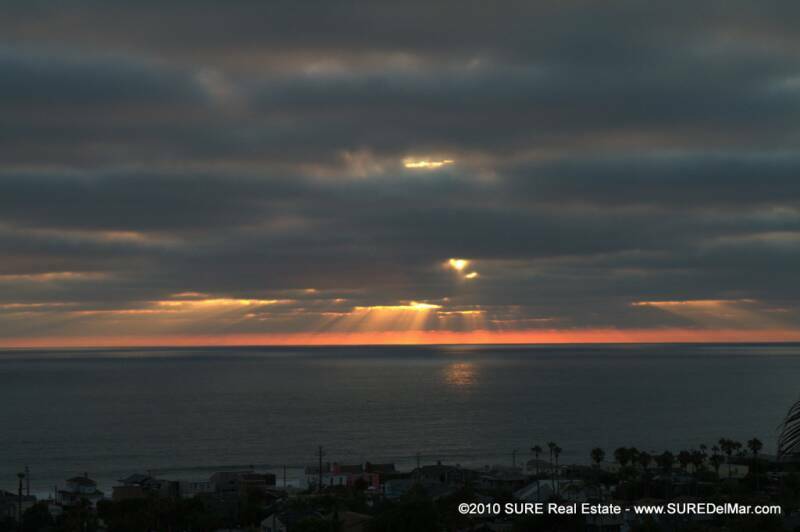 Copyright 2010: SURE | San Diego Short Sale. FIRST TIME AVAILABLE IN OVER 45 YEARS! 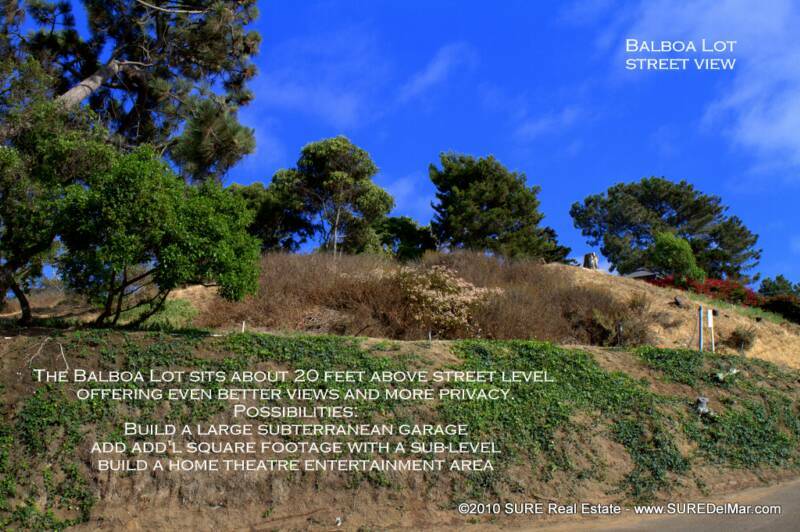 22,000+ GROSS SF FLAT, OCEAN VIEW LOT! 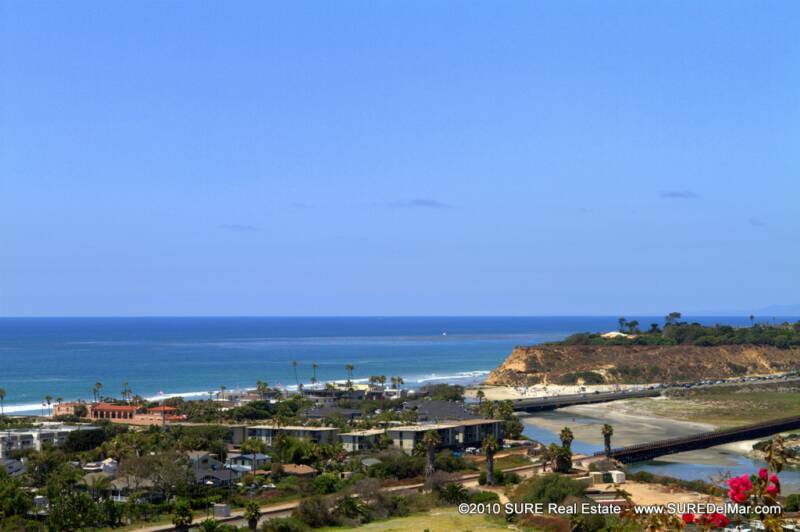 ATOP DEL MAR WITH WEST & EAST VIEWS! LAST OPPORTUNITY LIKE THIS IN DEL MAR EVER! FEEL FREE TO EMAIL STEVE UHLIR, BROKER WITH ANY QUESTIONS. 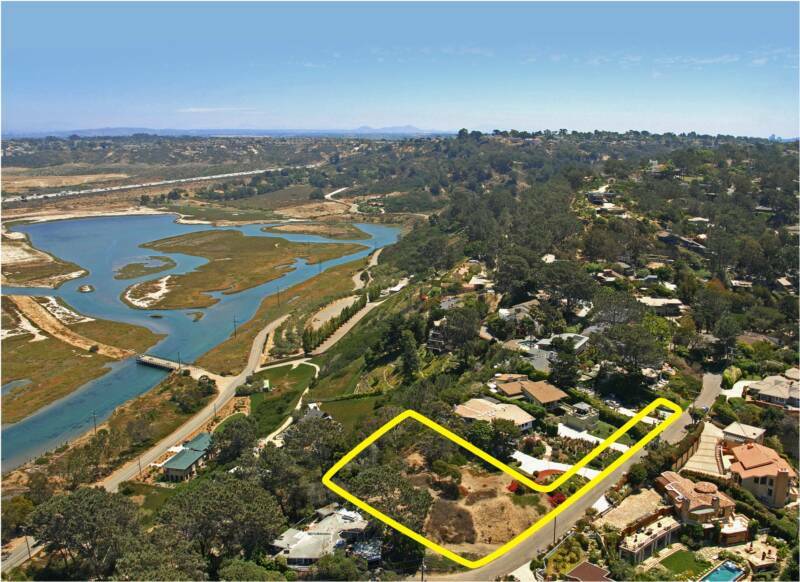 Welcome to the "prettiest lot in Del Mar" as referred to by long time residents of this highly exclusive coastal enclave...and the most exclusive piece of real estate available in Del Mar in decades. 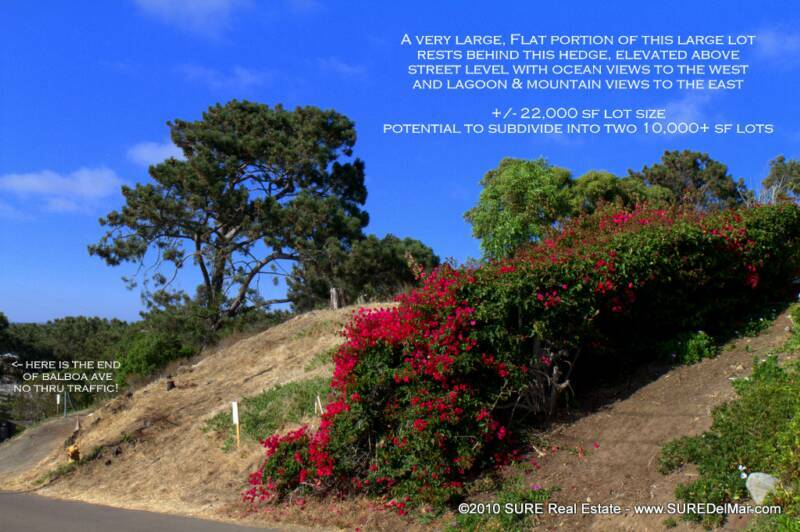 This magnificent apex has long been awaiting that special visionary to make it their home...now you can! 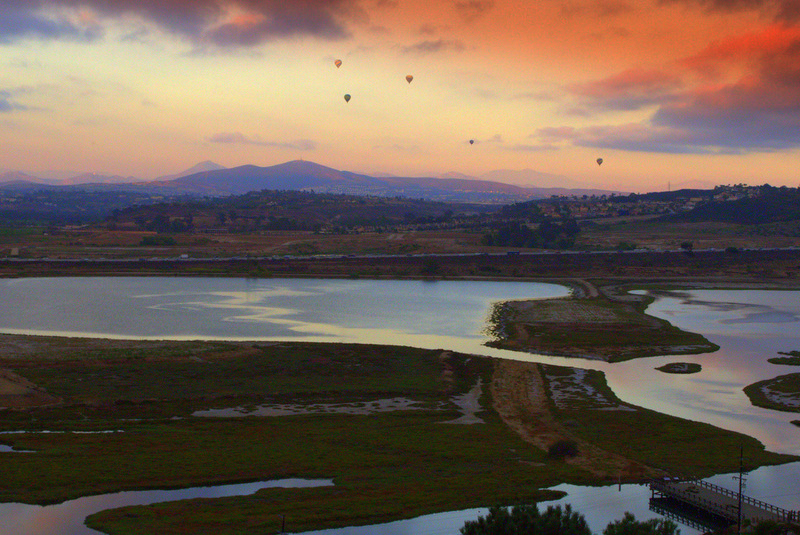 The uncomparable view to the east of the "Balboa Lot" at sunset with hot air baloons in the background. 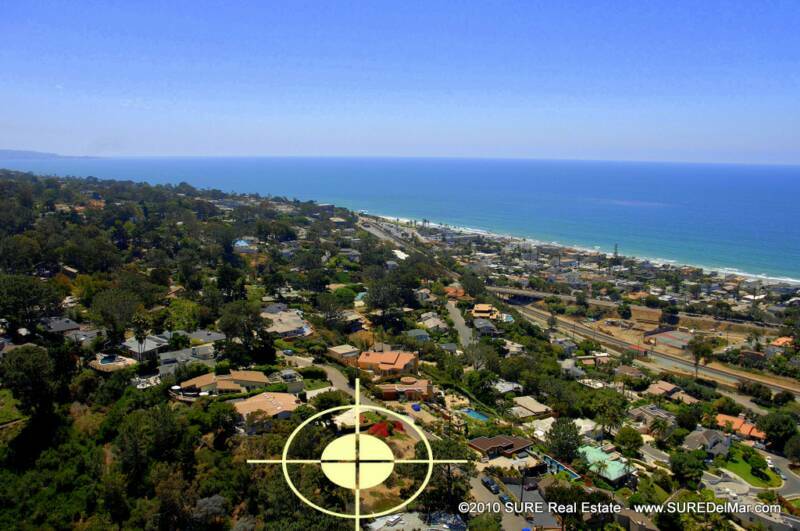 For the first time in over 45 years one of the most desirable residential lots in Del Mar is now available as it is being sold by the City of Del Mar via public auction. 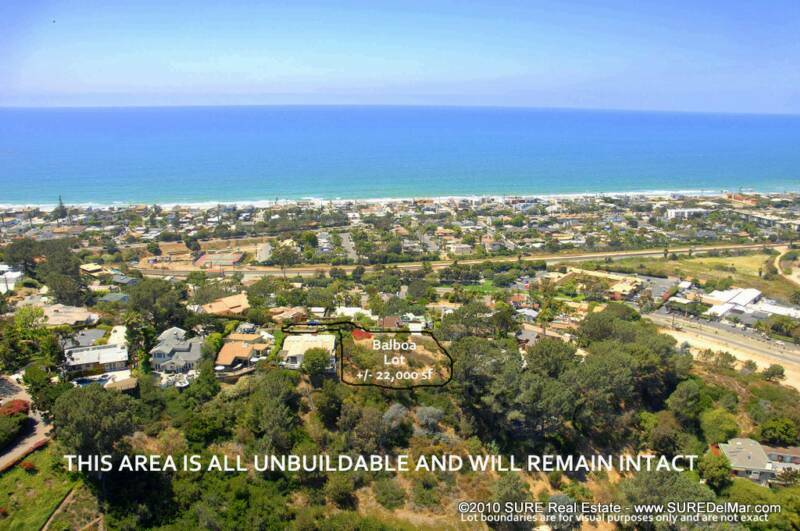 This lot sits atop Olde Del Mar and offers magnificent, unobstructed views to both west and the east as well as partial views to the north of Dog Beach and the Del Mar Race Track. 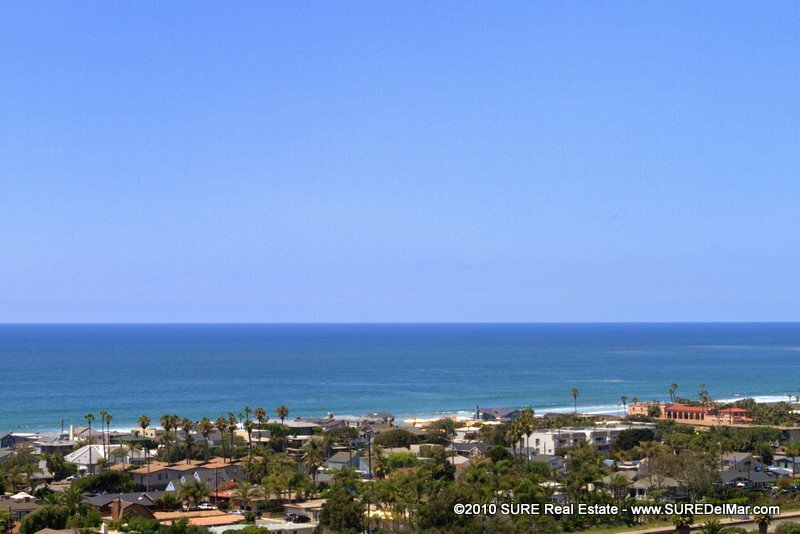 Very few properties in all of Southern California offer the array of views encompassing white water ocean views, lagoons, wetlands and mountains. 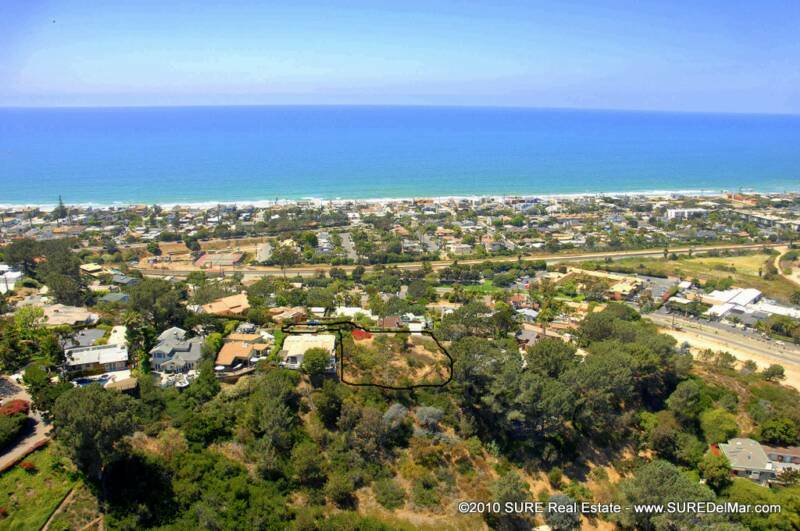 This lot is zoned R1-10, minimum 10,000 SF lot size, and has the potential to be subdivided into two separate lots, or to be kept intact to build one of the largest, most spectacular homes in the area. This is a very rare opportunity to own a property of true distinction. The lot is a panhandle-shaped 22,215 gross square foot lot. 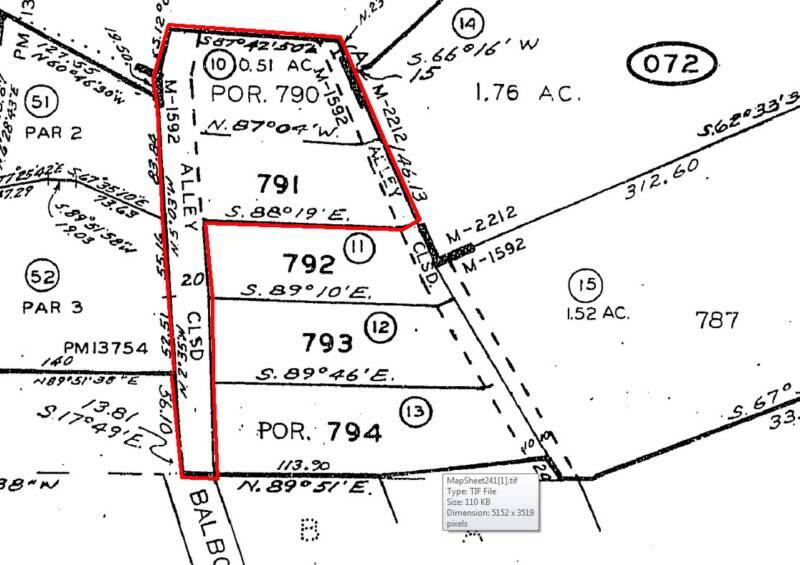 The "handle" portion of the property is approximately 20 feet wide and 300 feet in length and abuts the three properties to the south. The property is approximately 90-130 feet deep, excluding the "handle" portion of the property. The net area of the parcel is approximately 16,215 square feet. The property is zoned R1-10, residential, requiring a minimum of a 10,000 square foot lot size. 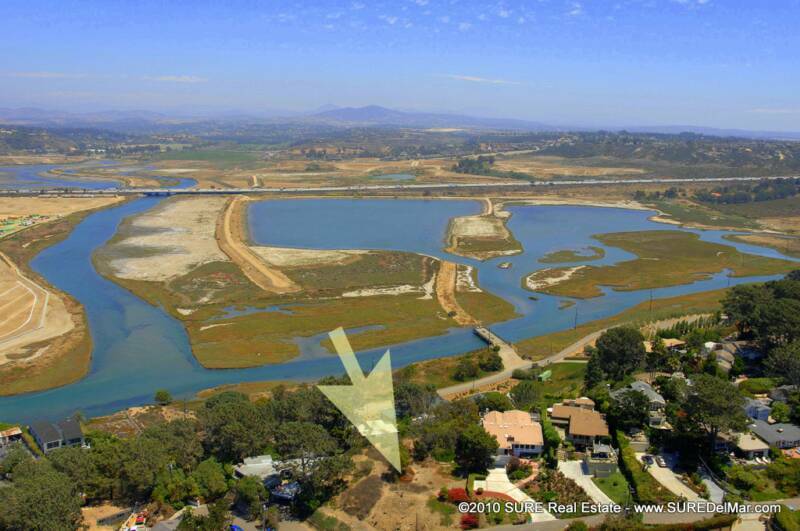 The parcel is large enough to be subdivided into two lots. 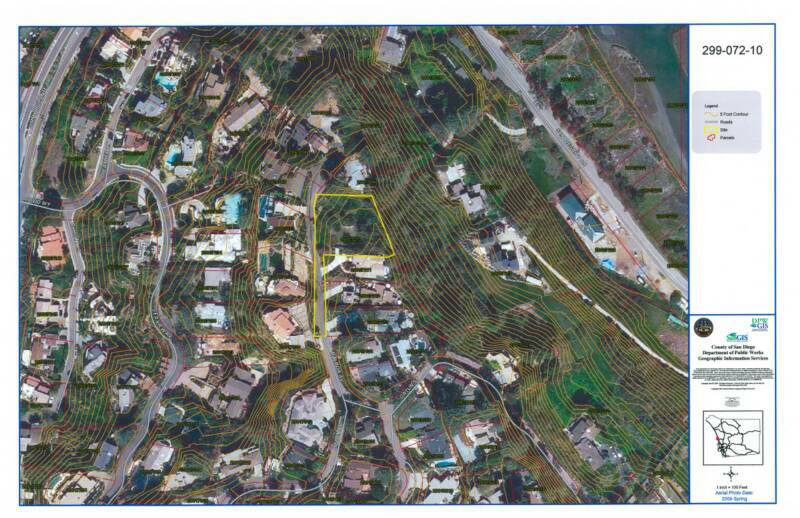 The property is not located within any Overlay Zones. 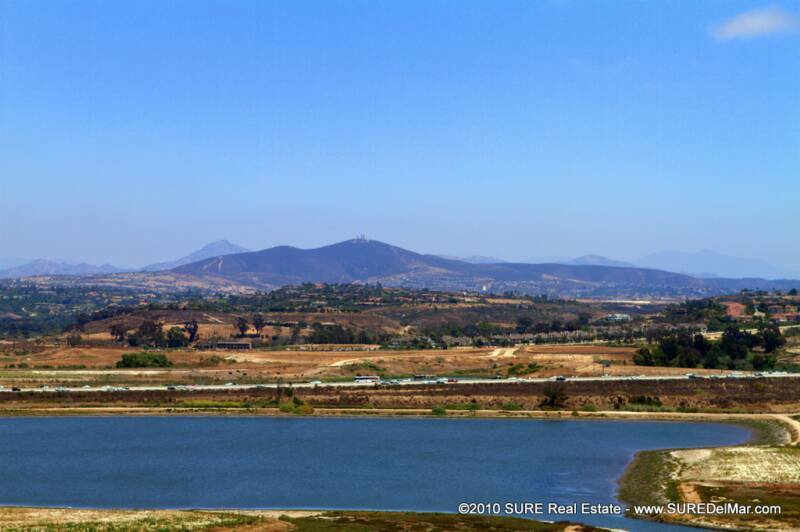 The Balboa lot has sweeping whitewater views extending 270 degrees into beautiful views of the East County mountains. In staffs’ earlier discussions with real estate professionals, it is believed that the sale of this property as a single parcel, allowing the development of an exceptional residential property, may bring the highest return. The City has owned the Balboa lot since 1965. 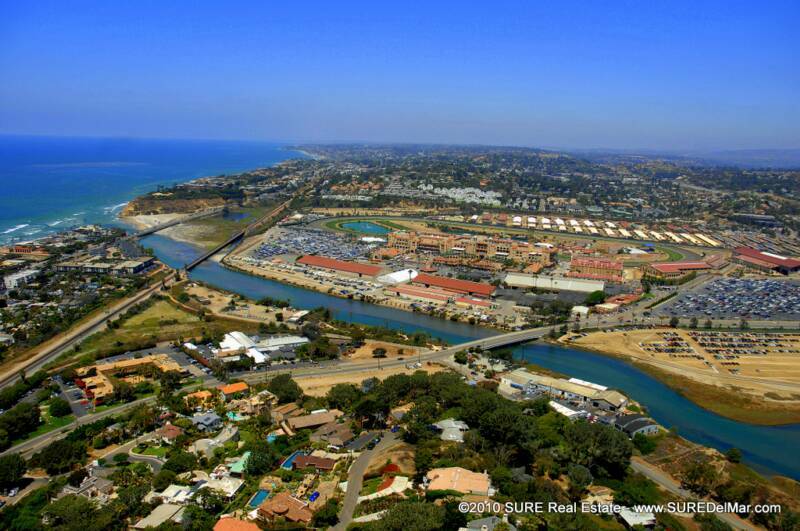 In a purchase agreement dated September 7, 1965, the City of Del Mar purchased Del Mar Utilities (a private corporation) for a total purchase price of $250,392. At that time, the lot had both a pressure treatment plant and cement water reservoir tank which was partially in the ground and partially above ground. It was later deemed obsolete and was no longer needed. Therefore, in 1992, Council adopted a resolution to demolish the plant and tank, and place soil over the remaining concrete. Currently, the land is vacant. 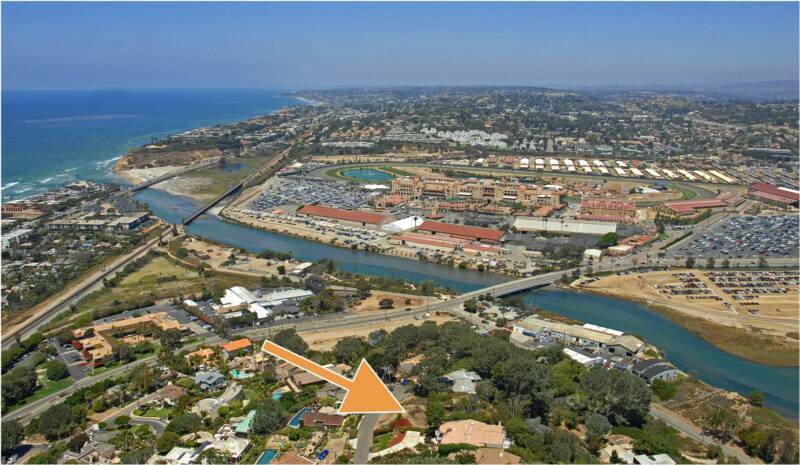 The Del Mar City Council recently announced plans to sell at auction the city-owned residential lot at 2160 Balboa Ave. 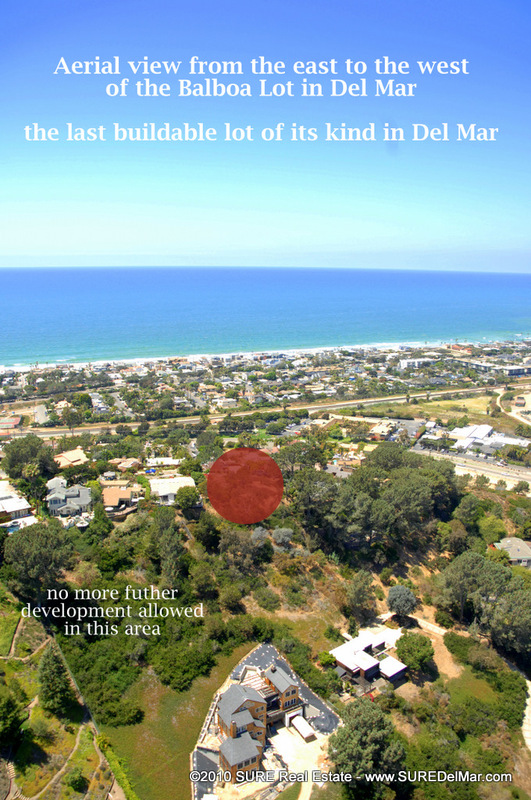 Proceeds of the sale will be used to pay off the debt the city undertook for the Del Mar Shores Park property. 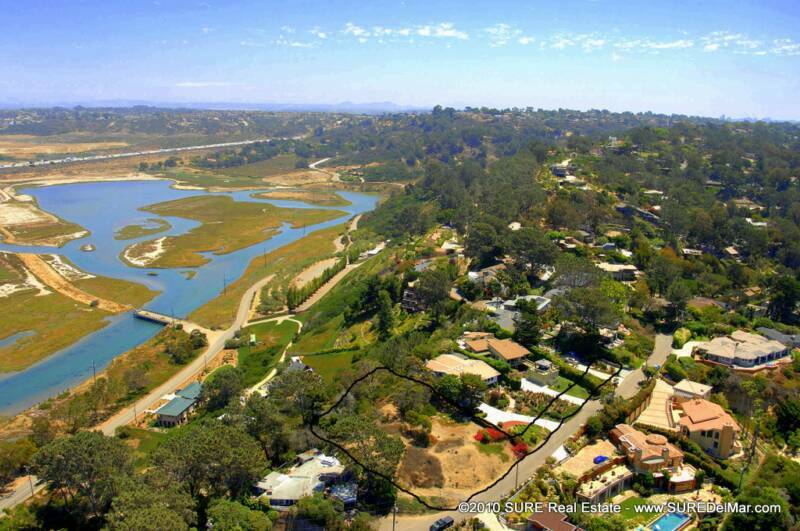 The city bought the Shores property as open space for $8.5 million from the Del Mar Union School District. The Friends of Del Mar Parks raised approximately $5 million, and the city financed the difference. 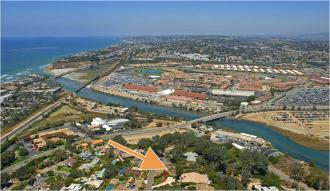 It is essential that the Shores debt be retired as soon as possible, and the sale of the Balboa lot is anticipated to generate the required funds. 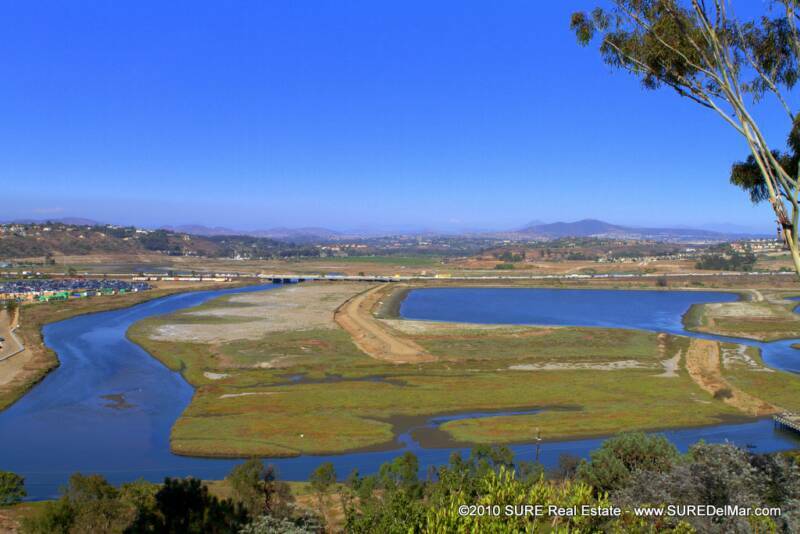 Through the sale of this property, the city will replace an idle asset with one that will preserve 5.3 acres of recreational, educational and open space for use by the residents of the city. 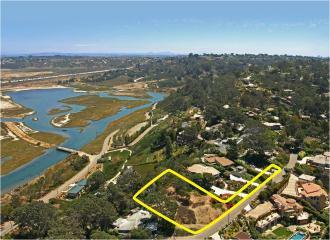 The Balboa lot is clearly one of the most desirable buildable lots in Del Mar and has not been available for over 45 years. 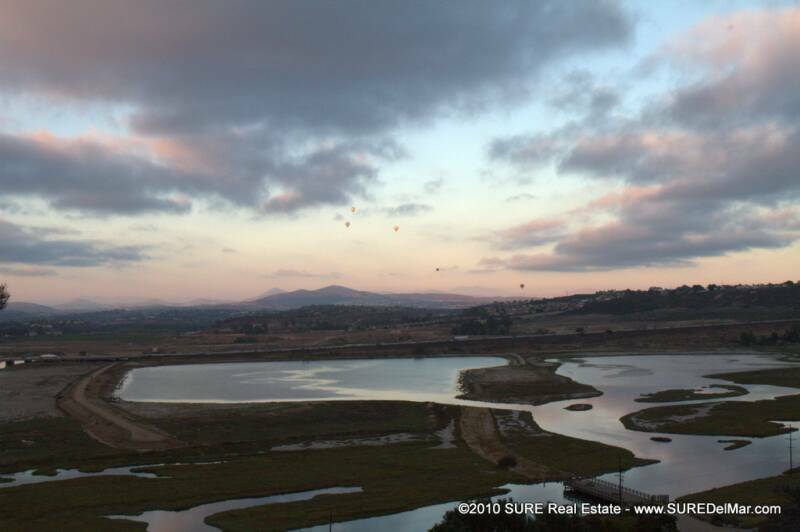 Located at the end of a long ridge, the property sits high above the street and offers 270 degree views including expansive whitewater views to the west, sweeping views of the Fairgrounds and lagoon to the north, and unobstructed mountain and lagoon views to the east. 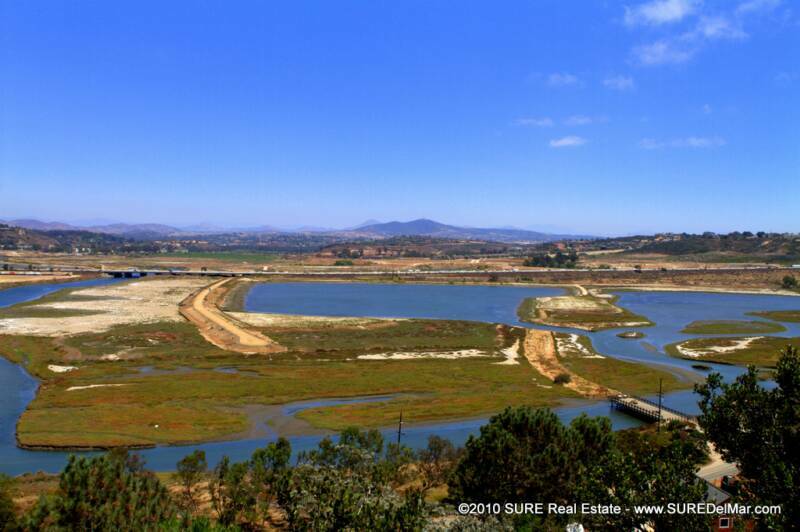 With its end-of-cul-de-sac location, and positioned high above most adjacent properties, the parcel has the rare combination of incredible views, quiet privacy, and size. Based on the development standards, it can accommodate the development of a large single-family residence and is large enough to be subdivided into two lots. The auction is scheduled for late September, and marketing efforts are already underway to take advantage of the visitors in town for the Del Mar race season. The City Council issued a Request for Proposals for a marketing consultant and ultimately awarded a contract to Steve Uhlir of SURE Real Estate Group to market the property and to conduct the auction, based upon his firm's specialization in marketing and auctioning high-end properties. 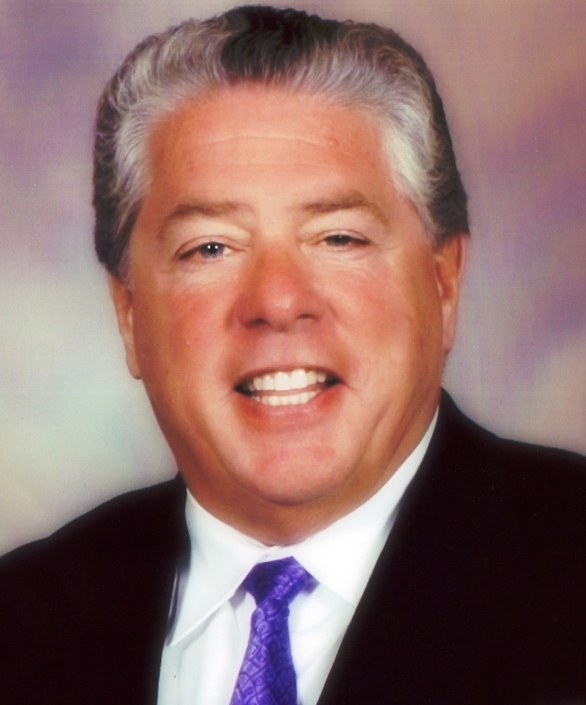 A San Diego native, he and his business partner Jim Gall, hold numerous records for the highest priced auction sales in the county. Mr. Uhlir will showcase the property through auction brochure mailers, signage, newspaper ads, and will feature the lot on numerous websites including BalboaLotAuction.com. This is such a distinctive property that it will be marketed locally and nationally to gain the most interest.